At some point, we’ve all sat back and admired a kid’s bouncing-off-the-walls energy. We’ve probably also watched tantrums unfold, perhaps with wonder at a child’s ability to just lay it all out there. A little hyperactivity and the occasional meltdown are normal in children, of course; that’s part of childhood as kids navigate how to experience and express their emotions. But if you’re concerned that your kid is having too many ups and downs — or too many cranky or anxiety-ridden moments — their diet could be the culprit. Your little one could be experiencing a micronutrient deficiency or a sensitivity to certain food additives or they may be reacting to blood sugar fluctuations. It might sound crazy, but some simple nutritional changes could be the solution to finding and maintaining a bit more calm. We’ve consulted the experts — and the science behind diet and how it relates to children’s behavior — for the answers. Ahead, you’ll learn how to fill your kid’s plate with nutrient-rich foods that have a calming effect, how to minimize the additives that could be causing a reaction and how to maintain blood sugar levels to combat extreme highs and lows. It’s certainly worth investigating your child’s diet before you jump to medications (and their side effects), urges Jennifer Giustra-Kozek, a licensed psychotherapist who treats patients with ADHD, depression, anxiety, obsessive-compulsive disorder and Asperger’s. Giustra-Kozek is also the parent of a child who has ADHD, and she prefers to take a holistic approach as both a mom and a clinician. “There are numerous scientific studies that demonstrate the link between ADHD, anxiety, depression, sleep issues and autism and nutritional deficiencies, food intolerances and the exposure to food additives and processed food ingredients like petroleum-based food dyes and environmental chemicals,” Giustra-Kozek explains. Of course, that’s not to say that your kid necessarily has a behavioral or mental health condition simply because they experience some high-strung moments. 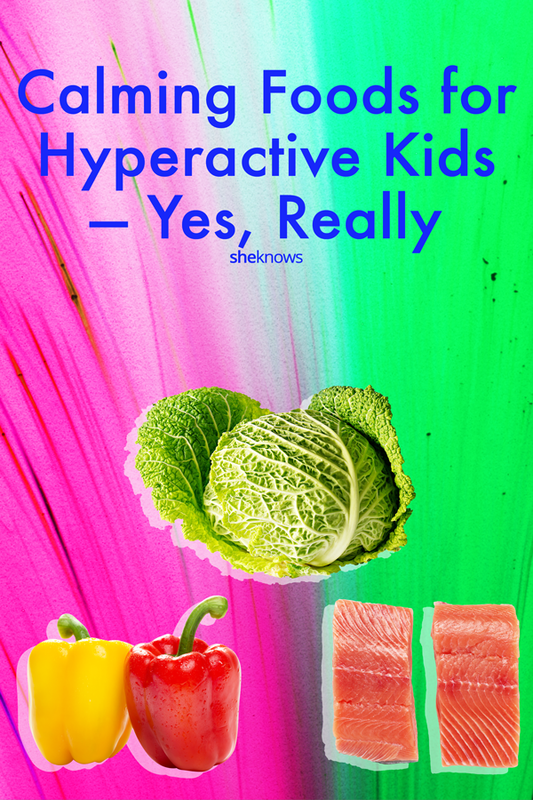 But pretty much any kid can benefit from a nutritional upgrade — so why not make it a more calming one, too? The foods we eat are made up of macronutrients (protein, fat, carbohydrates, fiber and water) and micronutrients, also known as vitamins and minerals. 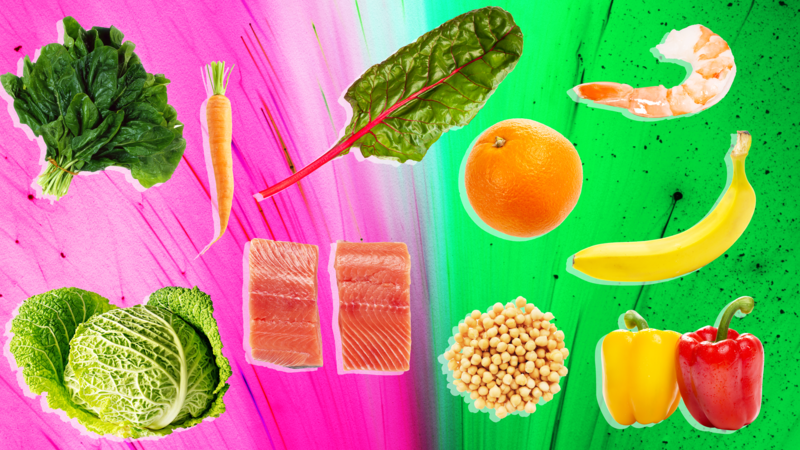 We all need a proper mix and amount of these macronutrients and micronutrients to function, and if we aren’t getting them, we might not feel or even act our best. The same goes for kids. “Because they are still developing, deficiencies in these nutrients can have a very noticeable impact,” says Emily Cerda, a Maryland-based board-certified nutrition specialist and licensed dietitian specializing in child health. According to a study published in the journal Children in 2014, children with ADHD are often deficient in iron, magnesium, vitamin D and zinc, for example. According to the book Neurobiological Issues in Autism, there’s been some success with treatment of vitamin B6 and magnesium in cases of autism. Here’s a list of some of those key micronutrients and where to find them. Keep in mind that children with autoimmune diseases, intestinal issues and other conditions may have malabsorption, which prevents their bodies from absorbing certain essential micronutrients. Some kids may require vitamin and mineral supplements. All the items on the calming foods list our experts helped compile have one thing in common: They are whole foods. That means fruits and vegetables, not processed snacks that are often devoid of nutrients and full of artificial ingredients. Research published in the European Journal of Clinical Nutrition shows that a healthy, nutrient-rich diet is associated with better emotional health in kids, and eating an unhealthy diet is associated with emotional distress. We often reach for processed foods because they’re convenient. They’re packaged and easy to toss in a bag, require little to no prep, and kids like some of the fun shapes and colors. But small changes over time can help us fit whole foods more easily into our lifestyle. And those mini modifications add up to bigger changes in the long run that can benefit the whole family. Tonya Harris — who is board-certified in holistic nutrition, an environmental toxicity expert and the mother of a child with ADHD — recommends cutting up fruits and veggies so they are easy to grab and go. If your children are old enough to snag snacks on their own, keep healthy foods at eye level. These could include fruits and vegetables, prepackaged natural peanut butter portions for dipping, hard-boiled eggs, yogurt and berries and organic cheese sticks. “Some colorings, such as turmeric, red beets, beta carotene and saffron are more natural colorings that haven’t been found to lead to hyperactive effects,” Harris says. She recommends avoiding sodium benzoate and potassium benzoate and ingredients that list colors followed by a number, like Red No. 40 or Yellow No. 5. If you suspect your child has a food allergy, talk to their doctor. A pediatrician may order an allergy skin test or blood test or prescribe a customized elimination diet to determine a sensitivity. Research has been inconclusive as to whether sugar truly increases hyperactivity in children, but a Yale University School of Medicine study has shown that kids have a more intense response to changes in blood sugar than adults do. In the Yale study, a group of healthy kids was given a large amount of sugar on an empty stomach. A group of young adults was given a similar sugar dose (adjusted for body size). Within hours after eating the sugar, the kids’ bodies released large amounts of adrenaline in response to a blood sugar drop, or what we might call a sugar crash. Adrenaline can cause excitement, anxiety, loss of focus and shakiness. And many of the children in the study reported these symptoms. The study also showed a more significant blood sugar drop in the kids than in the adults. And when the drop occurred, the children’s adrenaline levels rose twice as high as the adults’. The kids also reported a more significant reaction to the adrenaline than did the adults. Ultimately, what all of this suggests is that kids have a stronger reaction to blood sugar crashes than we do. “Maintaining blood sugar levels is an important factor in helping kids with focus, mood and behavior,” Cerda says. “Most adults have experienced that ‘hangry’ feeling where these three things fall to the wayside in lieu of eating food now. Children have a higher metabolism than adults and can burn through their food much quicker.” Cerda suggest keeping kids on a regular eating routine, focusing on whole foods and sticking to a low-glycemic diet as much as possible. Eating a low-glycemic diet means consuming carbs that are low on the glycemic index. The glycemic index is a measure of how fast a carbohydrate raises our blood sugar. Low-GI foods cause blood sugar to rise slower than high-GI foods. If your child eats low-GI foods, they’ll experience a gradual release in energy. Research out of the department of psychology at the University of Swansea in Wales associates that slower release with better cognitive performance in children. Plus, with a slower spike in blood sugar, a child will be less likely to experience a plummet that could lead to any crash-y-type behavior — like having a full-scale meltdown mid-grocery shop. Science tells us that diet does affect children’s hormones and mood, so if you’re concerned about hyperactivity, over-the-top tantrums, anxiety or any other behavior, take a look at your kid’s go-to meals. Try to add more foods from the calming foods list, eliminate processed snacks as much as possible, avoid artificial preservatives and colorings, and manage blood sugar levels by following a low-glycemic diet and pairing sweeter items with slower-digesting foods. Don’t aim for perfection. We all have busy lives. Small changes can have big impacts on reducing excitability and irritability. Also, never hesitate to talk to your doctor about your concerns in case there’s something more at play — like an allergy or deficiency related to malabsorption. A little troubleshooting could go a long way in helping your child have a calmer time.